This is probably the largest bedroom I've ever had. 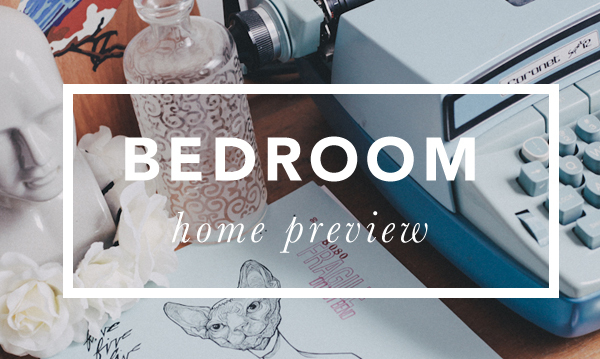 Growing up, I had a tiny bedroom. 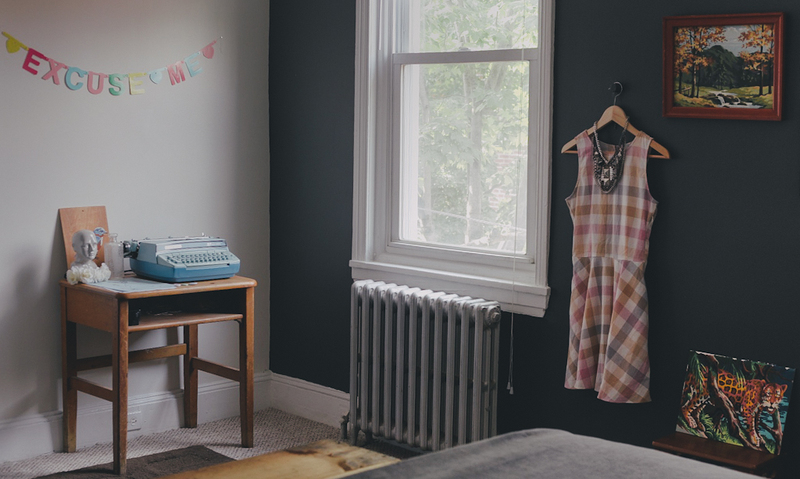 Once, in Columbus, I lived in an amazing vintage studio that had a walk in closet — and the closet was big enough to fit my bed. It was a great sleeping nook. Now that I have a three bedroom house, I could have my choice of what room I wanted. I picked the front, largest room. Now, I'm not sure why, considering I did like my nook-room so much, plus the sun reflects off the mint house across the street in the morning and wakes me up more effectively than any alarm clock, but hey. It's working out pretty well. How rad are these old radiators? I have this great wooden school desk that I picked up at Jinxed for around twenty dollars. 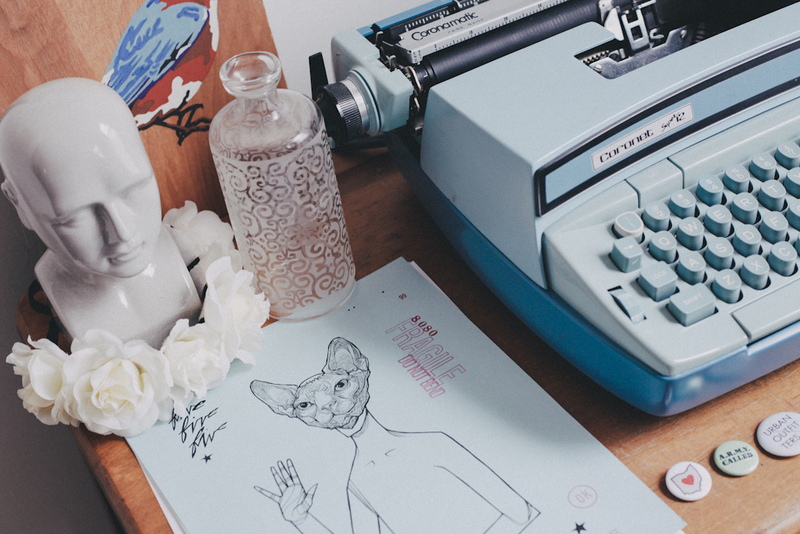 It's the perfect size to show my old typewriter (fun fact: it's the exact same model as the one I used to write stories on as a kid), one of my DIY paint by number birds, some other odds and ends, plus this Matt Cipov Sphynx print I bought at Renegade Chicago. 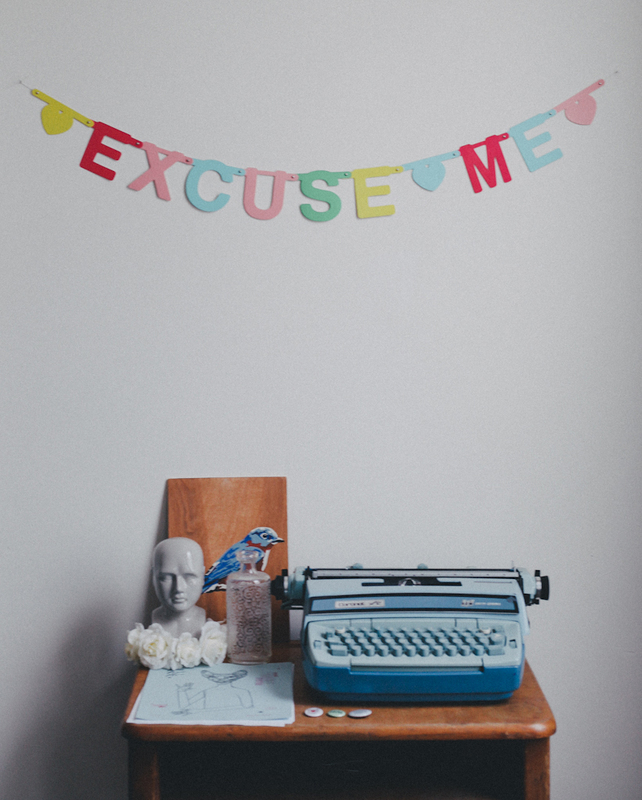 I made this "Excuse Me" banner after a running joke at my old store and, well, had to have a fun little reminder of home hanging to see each day when I wake up. 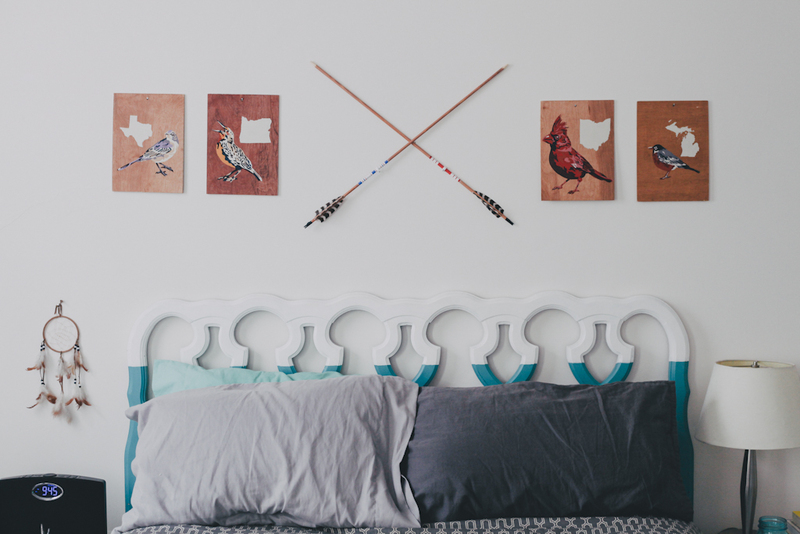 I have the same frame and headboard (the headboard was upcycled from my Great Aunt's house shortly after I moved to Chicago), but added this giant wooden crate from Philadelphia Salvage, some bird Paint By Numbers, and these great arrows that I picked up from Three Potato Four. Since the room is so big, I had to find lots of goodies to fill the empty wall space with. 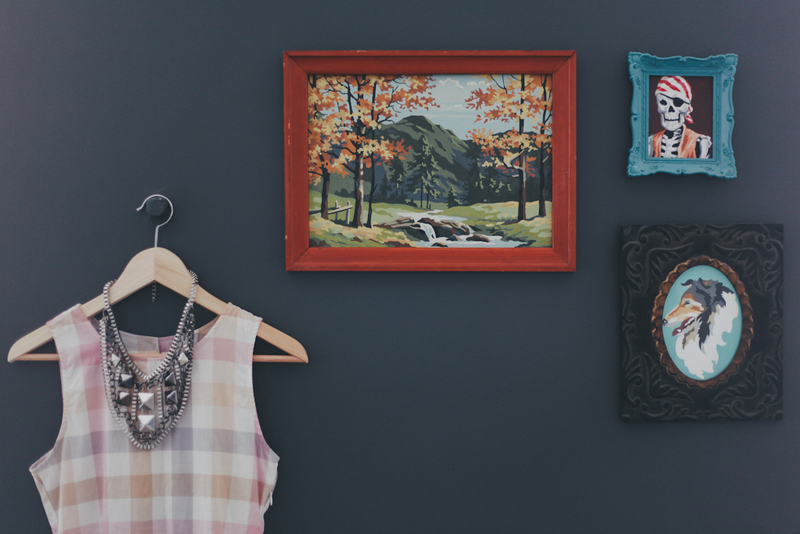 I have one wall painted charcoal with a selection of vintage paint by numbers and a summer Dolce Vita dress. I have my fair share of vintage photos around the place, plus this incredible Do Your Best pennant above my record player. 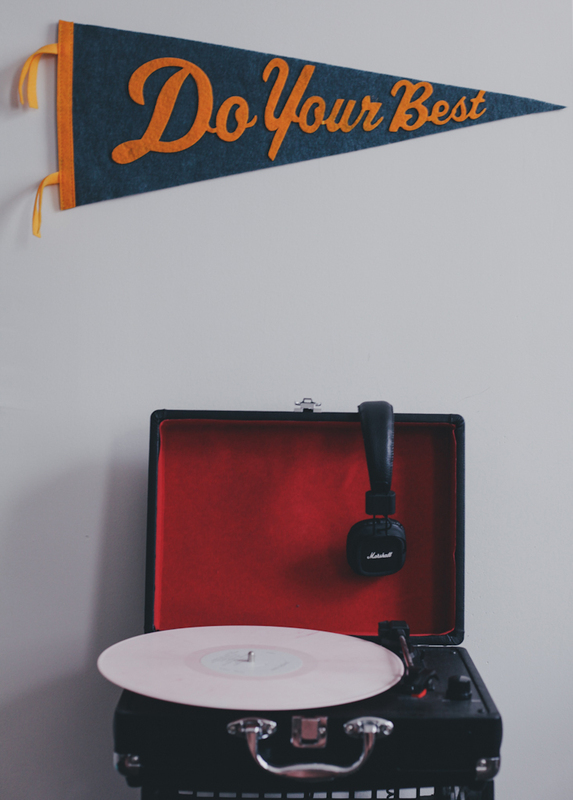 The pink vinyl? That's How to Dress Well. Check 'em out. And finally, my vanity. 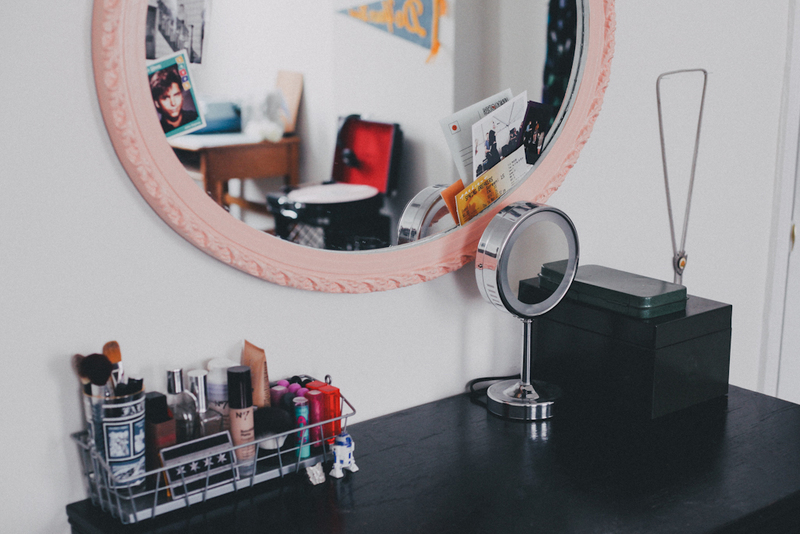 This is where I great ready every morning, and actually have organizers in the desk drawer for all of my makeup. 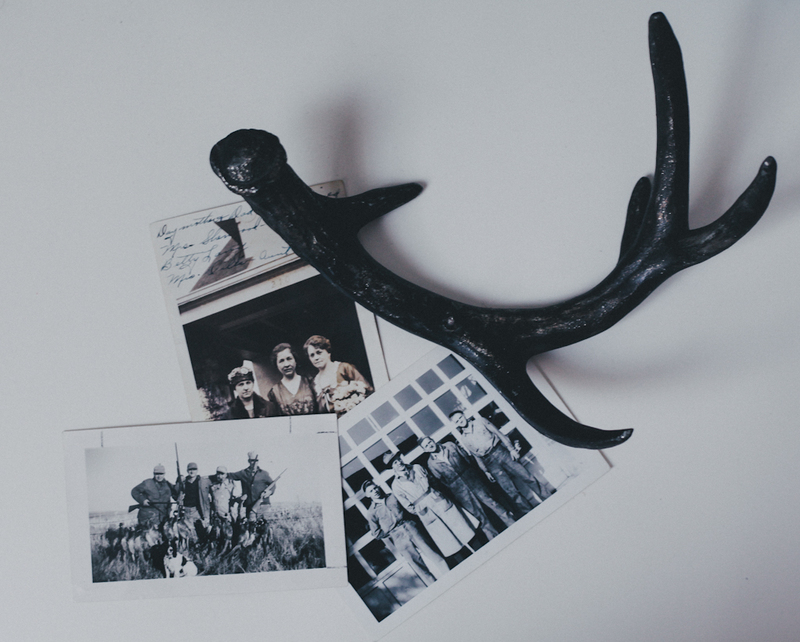 I keep my favorites in a basket on the top, plus some choice photos and memories on the mirror. 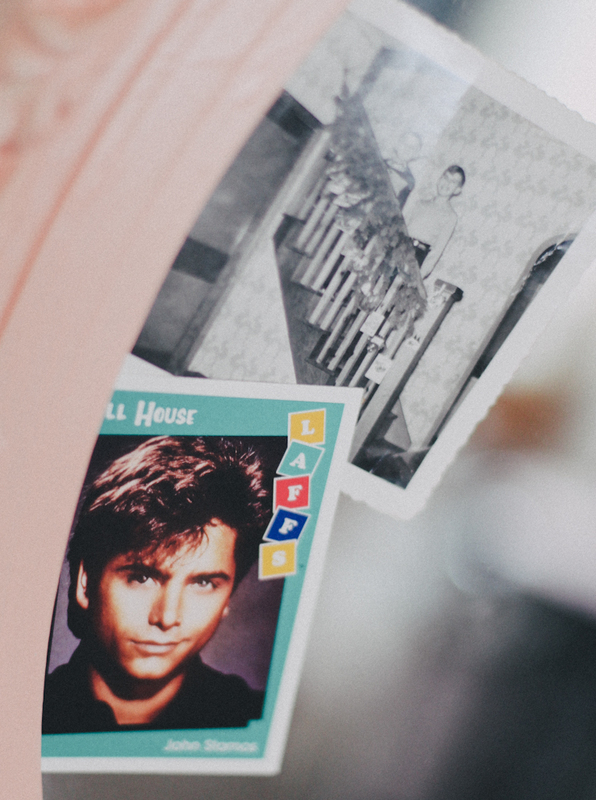 Yeah, you see that John Stamos trading card? It's amazing.